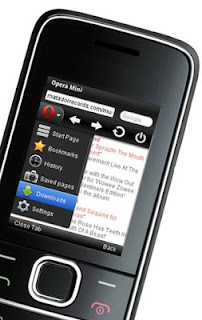 Opera Mini for Java and BlackBerry phones updated to v7.1 with a download manager. The new download manager lets you download media such as documents, multimedia and other content. With the Opera Mini 7.1 browser for Java and BlackBerry, downloading of a file can be paused when the connection disappears, and then resumed when you’re back on track. The new Opera Mini 7.1 lets you access the file even more easily than before. On the BlackBerry platform, the file can be accessed directly from the browser; while, on J2ME the user can choose to let the phone open the file directly in e.g. a media player or to save it for later use.